Throughout my adventure with The Division 2, one thing remained obvious: Massive Entertainment knows how to launch a successful shooter at this point. They've had nearly 20 years of practice, all of which came to a head with the initially rocky but eventually fixed Division. 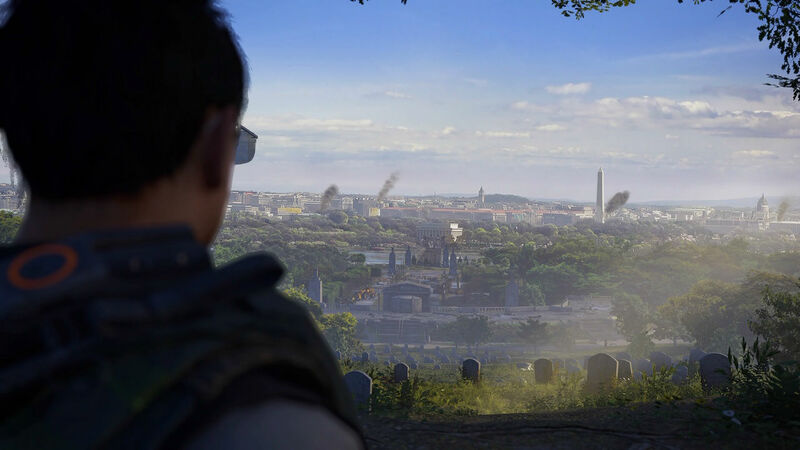 At first, I was pensive as to whether or not The Division 2's world and characters would be able to draw me in. But after the curtain has been drawn on the main campaign and some of the endgame, I'm more than convinced by just about everything else. Although there really isn't a moment where The Division 2 drags per se, as I started to work my way up through the ranks and come to grips with its various intricacies, it made it easier to keep playing. Weapons become more varied and interesting, skills start to open up as you unlock more and pursue various builds in tandem with your groups, that sort of thing. My initial hesitation when it came to the D.C. setting also gradually melted away once more unique missions popped up: particularly some of the more impressive set pieces like the Lincoln Memorial and the Air and Space Museum, complete with a planetarium showdown. 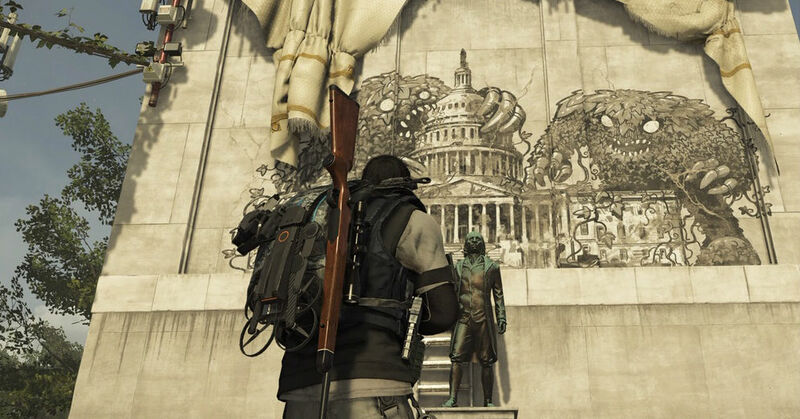 The Division 2's gritty veneer isn't the most glamorous thing out there on paper, but the complex map design shines while you and the AI attempt to tactically one-up one another. Retaking the Washington Monument while lightning is crackling in the background is another cool, yet totally missable sight that hit me as someone who spends a lot of time in D.C. Although there was an opportunity to highlight some of the more personal aspects of the region — including some of the beautiful Virginia and Maryland countrysides literally in D.C.'s backyard — Massive mostly hits everything it needs to and offers up detail in the most unlikely of places. Massive Entertainment manages to push the envelope a bit when it comes to dilapidated environments, and it also isn't afraid to get arcadey every once in a while. There's a part in the campaign where you're locked in a morgue with two armored-up sledgehammer-wielding hulks, which makes for a tense experience on higher difficulties with a party running about trying not to get smashed. Another standout is a level that culminates in a huge firefight with a boss character trying to break the glass to eventually overwhelm you alongside his troops. Yet, my concerns regarding the stale narrative were never alleviated. Enemies, for the most part, are faceless. Hell, even your faction, which is given even more attention than your rivals, is barely memorable. There is a way to incorporate agency in looter shooters to make the world even more engaging (the silent protagonist hurts too) and I wish that Massive took notes from the Far Cry series to grease the wheels. The Division could use more Grandma snipers is what I'm saying; don't be afraid to push further when the narrative is already chilling in the recycling bin. 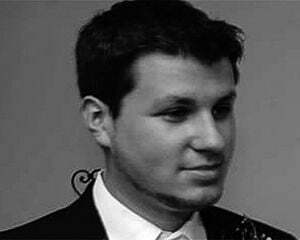 If a lack of a strong story is a deal-breaker for you there's a lot of other options out there. But as someone who plays nearly every shooter on the market, I was inescapably drawn in by how tightly wound The Division 2 really is. Nearly every weapon feels satisfying to wield and the skills (which range from drones to self-firing turrets to revive grenades) are just wacky enough to make for some appreciable moment-to-moment gameplay. During my travels, there were more "last-second saves" than I could count and a hell of a lot of harrowing moments during some killer firefights. The enemy AI is reactive and responsive, often moving to outflank your team and rip them to shreds. This sort of behavior makes the Dark Zones (a mix of PVP and PVE) even more interesting, to the point where I actually bothered to do some regularly. The only activity I'm not into is PVP, as it mostly feels tacked-on in favor of focusing on co-op (fine with me). 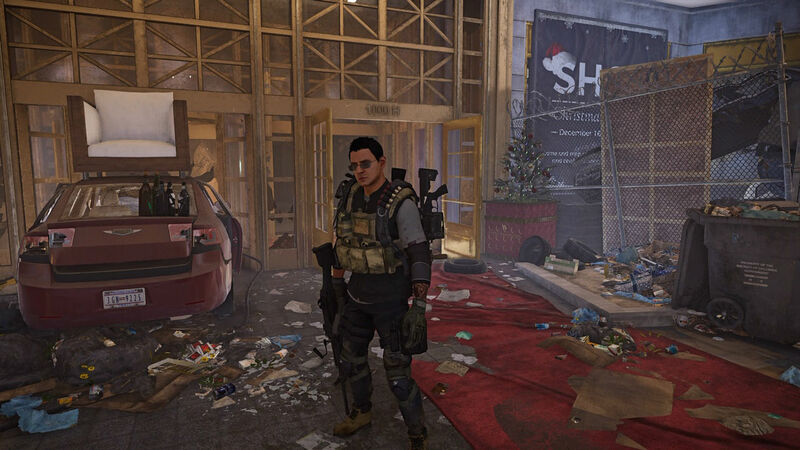 The Division 2 also benefits from a clean looter shooter launch, a rarity these days. Outside of one day of infrequent crashes and skill bugs on PS4 (which seem to have been patched) my experience has been smooth. There's the rare "Rockstar Games bug" that's more absurd than game-breaking, like the one below where an enemy character model got stuck inside of a barrier, or the time when someone went flying 50 feet in the air, but those are easy to shrug off. So, endgame: I played it and I'm impressed. After you hit the current cap of level 30 and the last Stronghold (dungeon) is cleared, the Black Tusk faction appears. It's such a genius idea: the western equivalent of a "I was the real Final Fantasy boss pulling the strings the entire time" kind of move. These dudes are nasty, technologically advanced and essentially The Division's answer to Metal Gear Solid, complete with robot attack dogs. While most of the endgame missions are re-purposed locations from the campaign, a Tusk twist alters some portions of them and allows for more tension with an increased difficulty push. It helps that the endgame in Division 2 opens up even more opportunities for builds, best illustrated with the specialization concept. Once the Black Tusk moves in you can choose from three endgame concepts: demolitionist, survivalist, and sharpshooter. All three come with their own super-weapon that you're kind of just...gifted, and is accessible at all times as a fourth weapon by holding down the swap gear button instead of tapping it or double-tapping it for your alternate gun or sidearm respectively. All three are swappable and come with their own skill trees, which you're working toward with endgame level-ups (which, in turn, also earn you a random gear box). Again, there's a real sense of progression here as you're simultaneously unlocking better loot, ways to mod your gear and alter your skills, and specialization optimization. You might be repeating existing content for now (until the first raid drop and subsequent DLC arrives) but I haven't gotten tired of it yet. Witnessing an entire squad full of players who are using completely different abilities in what is essentially a cover-based tactical shooter is quite the sight. It still has that semi-grindy feel, but it's engaging in the sense that the grind is never a chore.